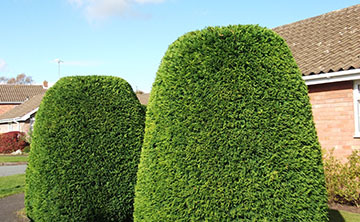 Green fingered folk classify anything over six feet tall as a tree – but our ‘tree’ services include shrubs and hedges too. Whether it’s trimming, pruning or topping... clipping, crowning or lopping – we can ensure these important mainstays of any garden stay healthy, in proportion with other plants and structures, and don’t block access routes or get out of control. If trees or shrubs need to be taken down altogether, we can do that too, including removing the roots and organising a replacement or alternative variety of tree if required. So whether it is for a domestic garden, the areas around business premises – even blocks of flats or schools and care homes, calling Advantage means you won’t be barking up the wrong tree!